With all the negativity going on in the world right now, we need to learn ways to help us deal with it! If you have a sensitive ear and heart, you probably are the “go to” person for others to share with their fears, frustrations, internal battles, and emotional pains. This lovely sensitivity of yours is your gift to the world, but it can and will become your curse to yourself if you don’t learn to energetically protect your being. It can make you SICK emotionally, physically, and spiritually – depending of the depth of the negative energetic attack and how often you are exposed. So protecting yourself is a healthy way to learn to live. It is a habit we NEED to get into. Doreen Virtue says our guardian angels are here right next to us, waiting for instructions, all we need to do is ask. This includes all aspects of our lives, but for energetic protection, they got you covered too!! The instant, and I mean the very second you feel the tiniest bit of negativity from a person, a situation, the environment you are in or about ready to enter, or even while watching the news, THINK PINK! Your angels will respond. The moment we THINK PINK a wall of pink surrounds us. Why PINK? Here is my theory why this works, and it does!! PINK is the universal color of love, it is a gentle color, a peaceful color, a calm color. Even the pink stone, Rose Quartz is the stone of self love, self worth, and gentle forgiving love of self and for others. 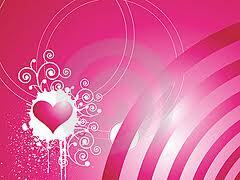 So when we THINK PINK, we immediately begin to send out messages of love back to the person/people/room /etc. without saying a word. And here is the trick (although it isn’t tricky) those messages that are getting sent out aren’t ours, they are the same messages coming from the people sending them to us, bouncing back, altered by the love of the pink color energy and going back to them. In other words, let’s say I come to you all frustrated and angry about a situation, my energy is off the charts pissed off. You being sensitive and loving want to listen and help, but my energy is overwhelming to you. So you, THINK PINK! An invisible shield of pink energy surrounds you instantly. You will still hear my words but my energy will no longer penetrate your being. My words will enter but my energy will bounce back to me, but it will be altered by the pink shield. The energy once negative, has been changed into a loving energy. So when it reaches me, I will begin to calm down, until I no longer feel it is necessary to keep spewing negativity. I will leave our conversation feeling more relaxed and grateful for your wonderful listening skills. You will also walk away feeling better, without the weight of my negative dump staying with you. By surrounding yourself in PINK, you also benefit, not only from the protection stated above, but also from any negativity that may creep up within you. Let’s say you are emotionally attached to what I am upset about, perhaps it is political and you want to get upset too, your negative energy would normally increase (after all misery loves company), but the PINK shield keeps your negativity contained as well, and sends it back to you with love. We both leave the conversation feeling better, healthier, instead of having our negativity feeding off each other and growing. It also works if you are alone watching the news, the moment you feel fear start to rise, THINK PINK! You will find yourself instantly calming down and going back to center (by the way, you can also turn the TV off). When we THINK PINK! we begin to heal the negative energy within ourselves, protect us from the negative energy of others around us, and why not say it, we can begin to heal the world of its own negativity as well. So join me right now and THINK PINK!! !